I’ve been running Windows Server 2003 for testing purposes on a VMware Server Machine for a while now, but I never had the opportunity to install an exchange server on it, until today. Even though I have installed exchange server 2003 many times at work, this is the first time I write about the full installation. To make sure you have those services installed, go to the Administrative Tools then Services on your server and check everyone one of them. 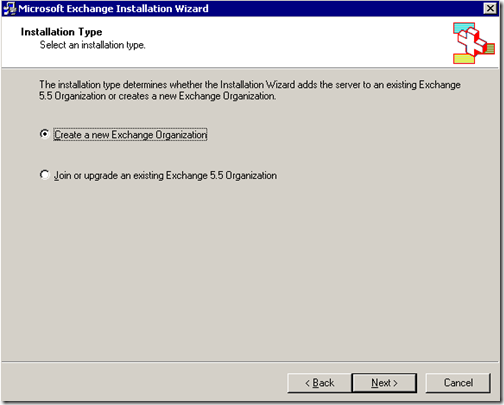 if they are not installed, you will need to install them by following the instructions below. On your windows Server 2003 desktop, go to Control Panel then click on Add/Remove Windows Components. 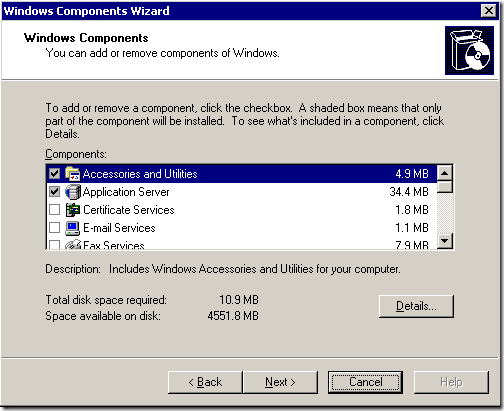 The Windows Component Wizard should come up. Remember that the ASP.NET,NNTP and SMTP services are found under the application Server applet. you can find the NNTP and SMTP options by selecting the IIS service and click on Details. Click Next after you select the services. along the way, the wizard will ask you to insert the Windows Server 2003 on the CD-ROM. 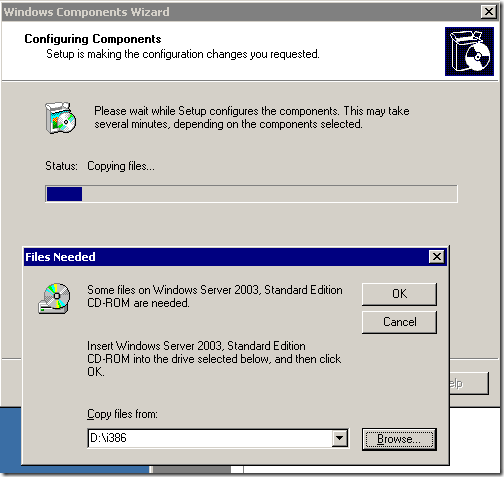 Insert the CD, and click OK.
that’s Microsoft .NET Framework Version 2.0 Redistributable Package. the download should be around 22 MB. download it and install it. 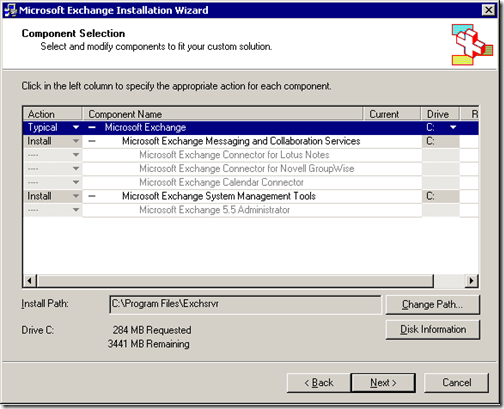 Ok. now that we have the Server 2003 ready to get installed with Exchange Server 2003, we need to extend the the Active Directory Schema so the necessary exchange server classes and attributes are added. to do that, we need to run the ForestPrep command. the Exchange Server 2003 installation wizard should come up. Make sure ForestPrep is selected and click Next. select the path on the following window. default path should be fine, and click Next. 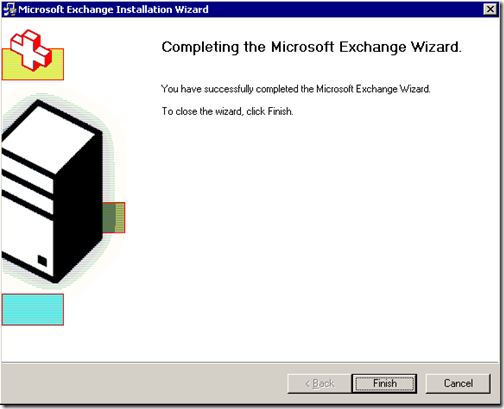 after awhile you should get the notification that the wizard has finished. 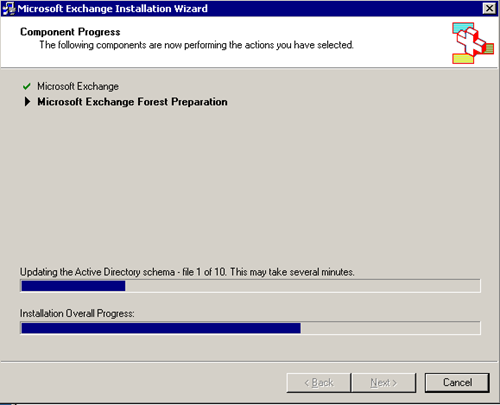 Now that we have ran the forestprep command, we need to run the Domainprep command. 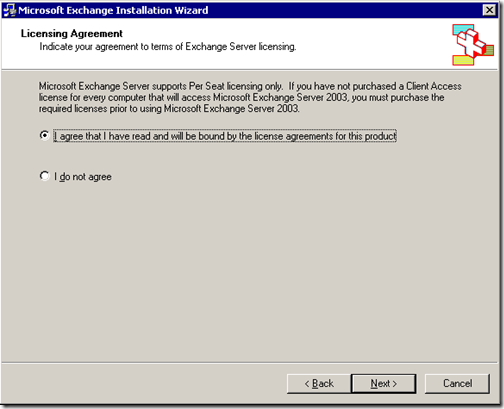 by running Domainprep we will create the necessary active directory groups and permissions that exchange server 2003 will need to run. Make sure the DomainPrep option is selected, and click Next. the DomainPrep should get installed. Now we should be ready to install Microsoft Exchange Server 2003 for the first time. The Agreement window will come up. click on Next. Next, we will need to select what type of exchange installation we want. 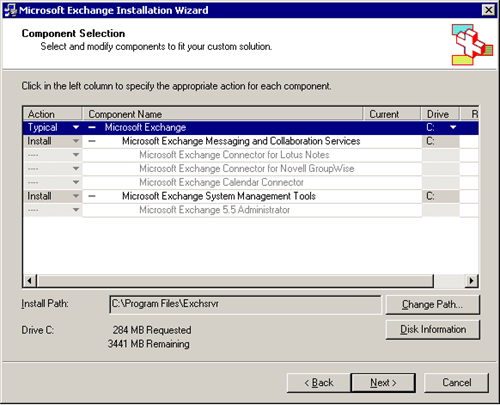 select the Typical option, and make sure Microsoft Messages and Collaboration services is selected as well as Microsoft Exchange System Management tools are set for Install. also, choose the Install Path. 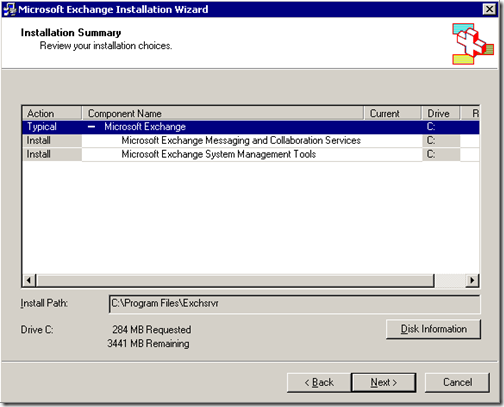 if you have another drive on your server, you can install exchange there. after choosing your settings, click con Next. 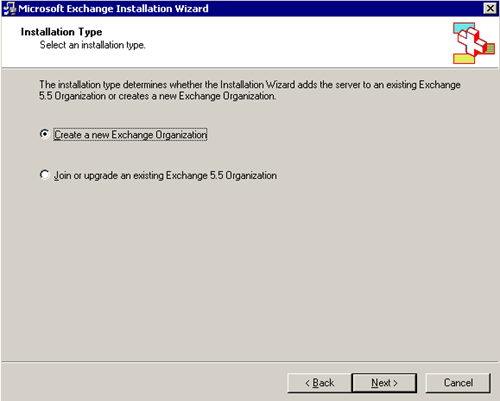 Join or Upgrade an Existing Exchange 5.5 Organization. Next, you will need to enter the Organization Name. 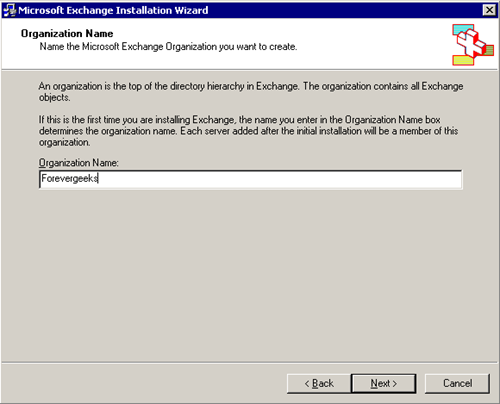 this is the organization name all exchange servers on your domain will use. Click Next, after choosing the organization name. 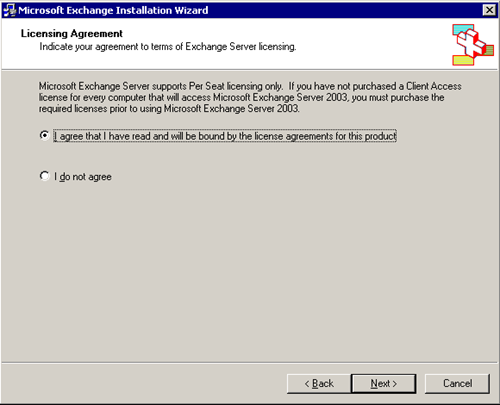 Click to agree the license agreement. then click Next. 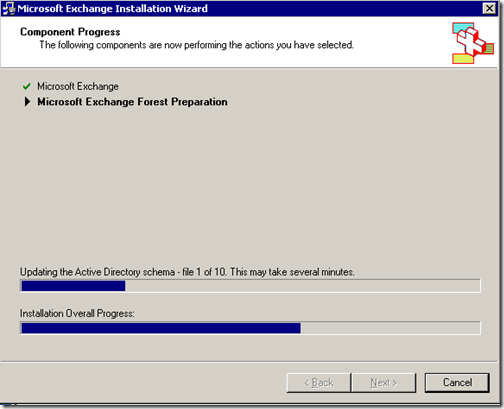 Next, you will get the Installation summary. 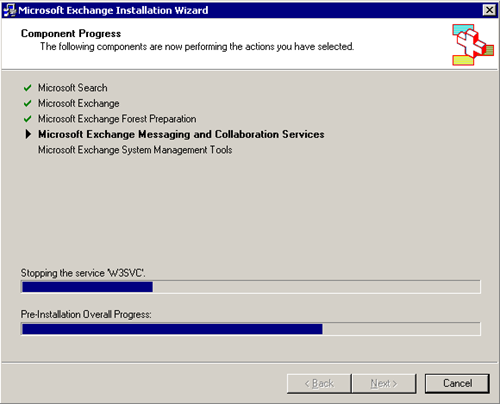 Microsoft Exchange 2003 should start installing… depending on your server speed, that should take awhile. 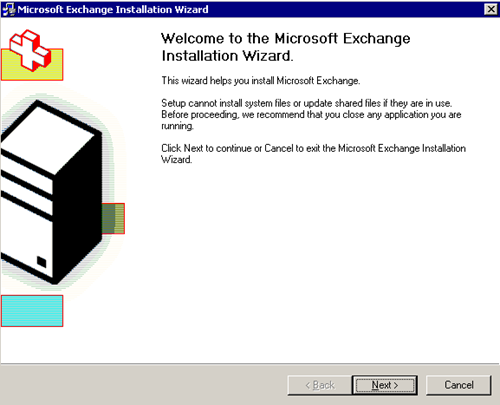 Your Exchange Server 2003 is now installed.